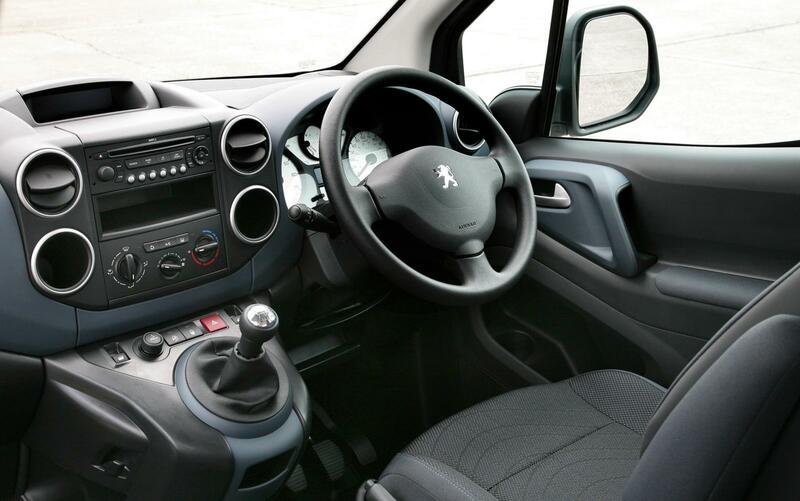 It might look like a van with windows, but the Peugeot Partner Tepee shares more with the 308 hatchback than it does with any commercial load-lugger. Those van-like looks actually mask what is a surprisingly capable car. Granted, you won’t want to be looking in this direction if high performance and sharp handling is what you are after, but if you need to shift a family and dog around the country, along with a pushchair or two and maybe a picnic, then the Partner Tepee might just tick all the right boxes. 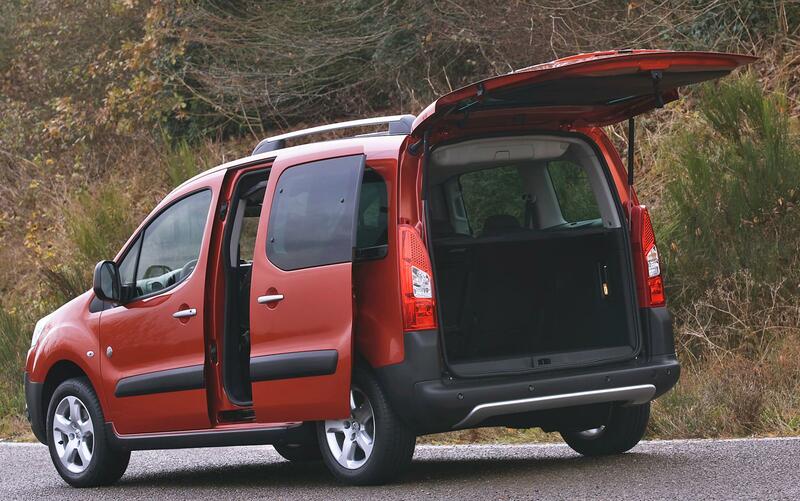 Sliding rear doors make access easy, with the added benefit that children won’t be banging doors in tight car parks. 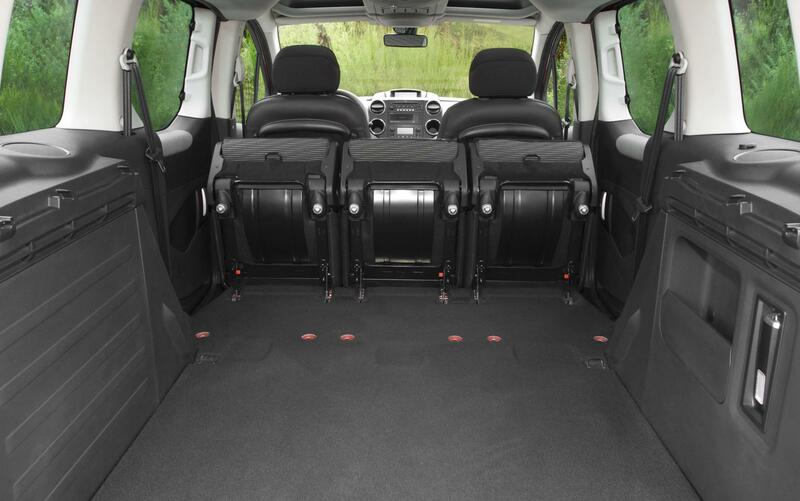 There is an enormous boot offering 675 litres of capacity that will happily take countless suitcases, dogs or bags of rubbish, while the low sill makes loading it all an easy task. 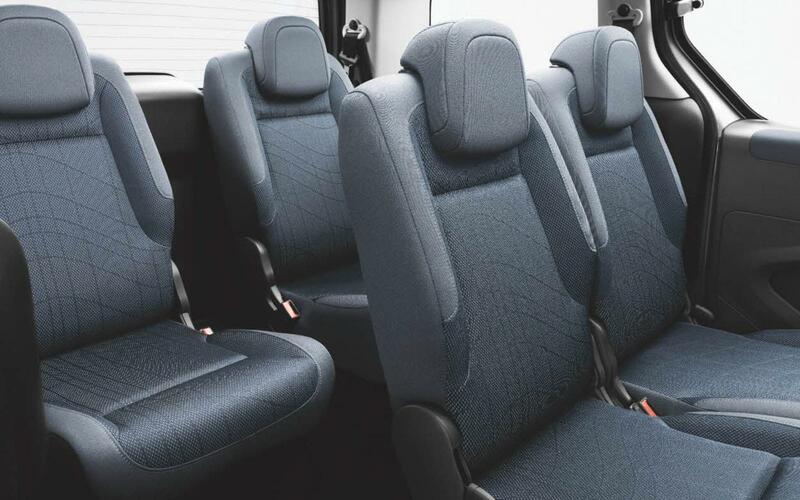 The three rear seats also fold out of the way independently, or can even be removed entirely, to create a cargo area that would rival that of most small vans. If that’s not enough, roof rails are standard across the range, allowing easy fitment of a roof rack or box. If that still leaves you short, most models can tow a braked trailer of up to 1.3 tonnes. Space is therefore in plentiful supply for luggage. Fortunately it’s also pretty good for passengers. 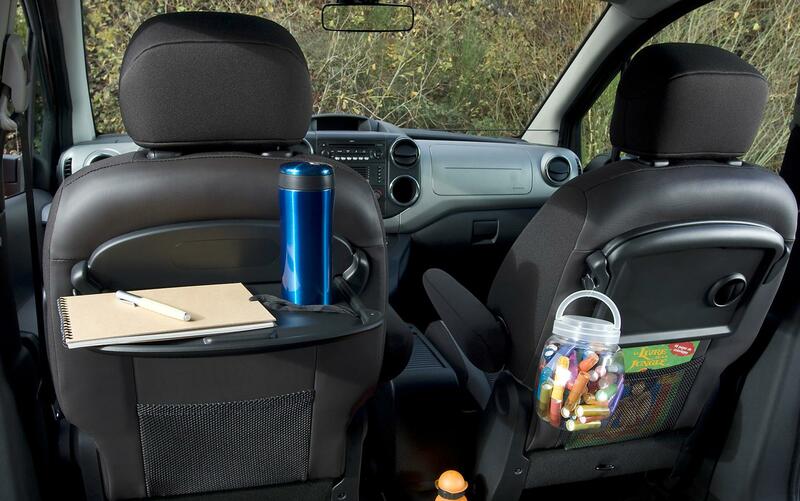 In the rear there are tray tables, pockets, nets and hooks to keep everything in place, while up front there are near endless cubby holes and hidden storage areas. There’s no shortage of shoulder room in the back, so three children could survive a journey without arguing too much over who has most space. For the front seat passengers though, there’s less positive news. A very upright driving position is combined with an oddly raked steering wheel that makes staying comfortable on long journeys trickier. Behind the wheel there is a dashboard that can best be described as utilitarian. Swathes of hard plastics spread out in front of you while the centre stack houses a stereo, some air-con controls and the electric window switches. 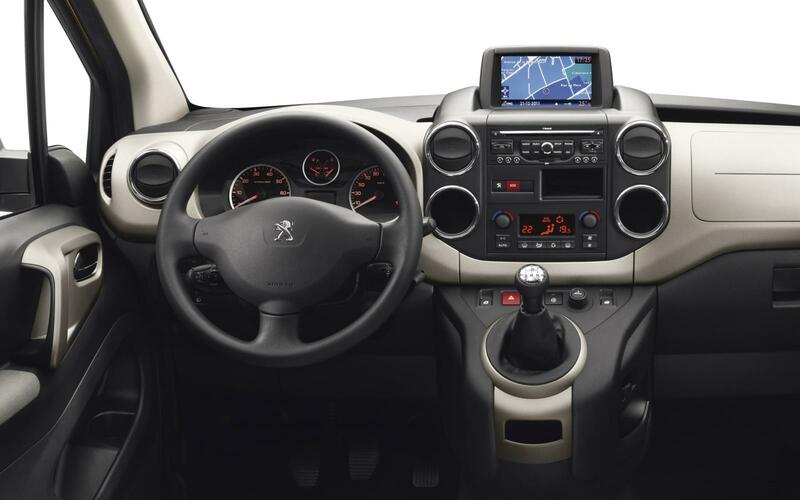 The gear lever is mounted high on the dashboard, rather than on the floor, which frees up more space but interferes slightly with some controls, while the sat-nav device is stuck on top as if it was forgotten and nowhere else was available. If that sounds bad, there are plenty of positives. The materials, while not exciting, feel hard-wearing and it’s all bolted together well, with no rattles or squeaks present even under extreme poking and prodding. The lack of complexity also makes it a reasonably relaxing and easy car to drive and it’s those 308 underpinnings that makes the Tepee so much better than expected. It crashes over some potholes and changes in road surface, but generally it’s a composed and controlled ride. Refinement is good, with plenty of vibration damped out long before it gets to the cabin, and even noise levels are kept in check. That huge windscreen and large side windows give good visibility too, making driving a somewhat relaxed affair, while feather-light power steering makes town driving and parking a piece of cake. 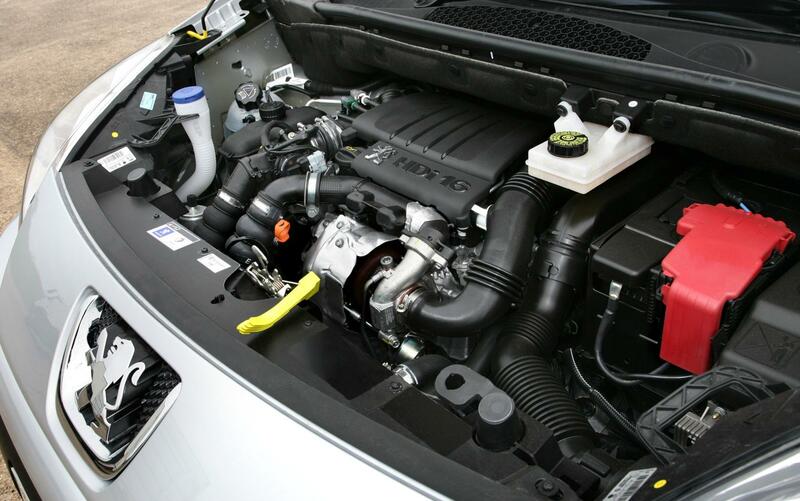 The top-spec 1.6 litre diesel engine fitted smoothly produces 115 bhp with virtually no penalty paid in economy figures over the more common 92 bhp options, the official combined figure being 53.2. Out on the Front Seat Driver Test Route, the Partner Tepee returned 43.0 mpg which is about what I would expect a car to achieve on that route against its official figures. A 75 bhp diesel option is available, but I can’t help think that the car would soon be out of its depth with that installed. Two petrol options exist, but they seem like the wrong choice for this kind of vehicle. Equipment can’t be described as generous, with only the top-spec Outdoor model I tested coming fitted with air-conditioning or side airbags. The Outdoor model also comes clad in bits of grey and silver plastic to give it a solid and chunky look, but don’t be fooled in to thinking it might tackle anything more than a grassy car park. It is most definitely not an off-road vehicle, despite the jacked up look. 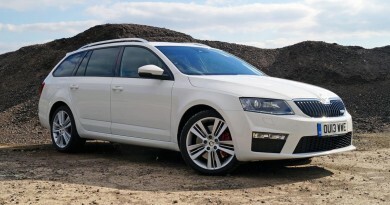 Kitted out with the more powerful engine and optional metallic paint, the Outdoor spec costs a substantial £17,450. Start adding a few extra options such as Bluetooth, sat-nav and the roof storage option with glass panels and you could easily add an extra £2,000 or so. Therein lies the Partner Tepee’s biggest problem. 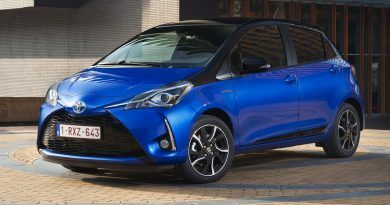 Start chasing toys and it suddenly turns in to an expensive proposition, and one that’s outclassed by the likes of the Citroen C4 Picasso and even Toyota Verso. Instead, pare things back to a more basic level and it makes a great deal more sense. The ‘S’ spec comes with every inch of practicality that the other models have, but saves some £3,000 on the purchase price. 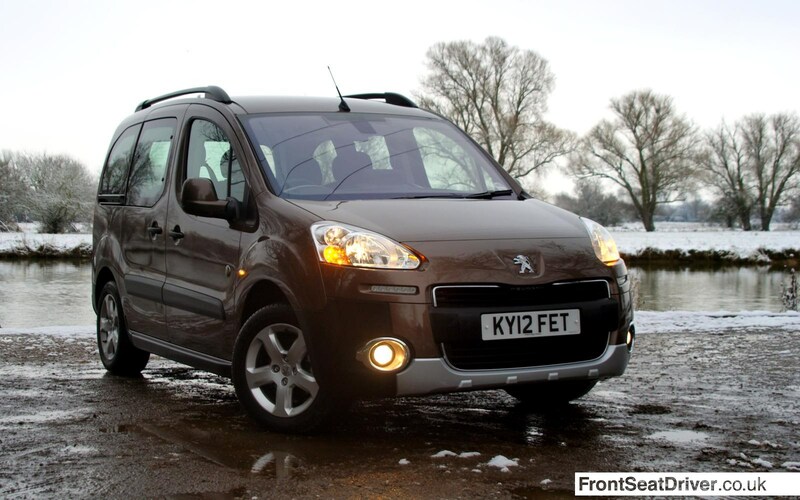 At £14,555 it’s cheaper than virtually anything else in the market, but nothing gets near its practicality. 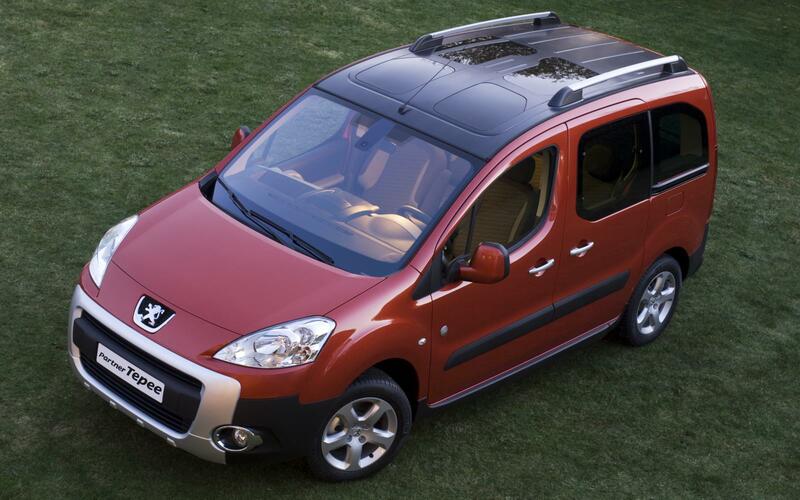 Keep it simple and the Peugeot Partner Tepee makes a compelling case for itself.